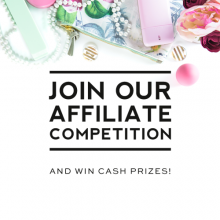 We couldn’t be more excited to announce that Designer Blogs now has an affiliate program! Promote our blog templates and earn commission on every sale you send our way! Simply display one of our banner ads on your site and/or include your affiliate link in a post and watch your account balance grow as your visitors become our customers. 1. Visitor clicks on an affiliate banner ad or link on your site, social media page, or in an email. 3. The visitor browses our templates, and may decide to order. 4. If the visitor orders (the order does not need to be placed during the same browser session – cookies and IPs are stored for 60 days), the order will be registered as a sale for you and you will receive commission for this sale. For now commissions will be limited to our blog templates only — however, we do plan to expand the program to all items on our site in the future. 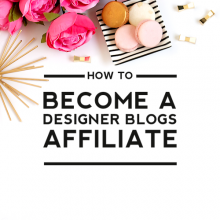 Becoming an affiliate is the perfect way to start earning money to put towards a new blog design! Click here to sign up and start earning today! Note: our affiliate program has replaced our referral program so we will no longer be distributing referral bonus coupons–however if you have an old referral coupon that you have not yet redeemed, it will still be valid until the expiration date. 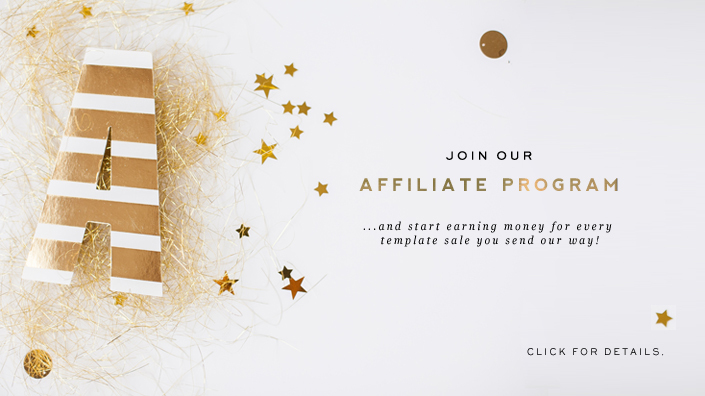 Affiliation is the big business today and I have seen lots of bloggers making huge bucks through affiliate programs of various companies. But the key is that product must be good and high quality. I have been visiting this website since quite some time and I can vouch for some really quality templates produced by you guys.